New Delhi: Lauding Virat Kohli for agreeing to drop a rung in the batting order for the team's sake, Indian skipper Mahendra Singh Dhoni said the strategy used in the second ODI against the West Indies here could be continued as the batsman adjusted well to the change. Kohli (62), who registered his 31st ODI fifty to return to form, stitched a crucial 105-run fourth-wicket partnership with Suresh Raina (62) to help India put up a respectable 263 for seven in 50 overs. The hosts eventually levelled the five-match series 1-1 by winning the match by 48 runs. "Kohli is very experienced and he knows what the team wants. We were able to convince him to bat down the order and he understood that it's good for the team and himself. 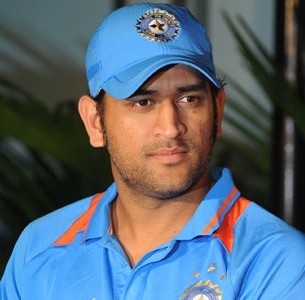 We have to look at everything," said Dhoni in the post-match press conference at Feroz Shah Kotla yesterday. "He is a kind of player who scores at a brisk pace. If someone is doing well at No. 3 and Virat is comfortable at No. 4 then why not. Let's go with it. But it was the first time, so we will see," he added. Ambati Rayudu, who took Kohli's place at No. 3, made a valuable 32 after India lost their openers early on a slow-paced Kotla wicket. Dhoni, who also contributed with an unbeaten 51, was happy with the batting order. "I believe it's good for the team to have your most experienced players bat at No. 5, 6 and 7. And yes it helps Virat to change his slot and have the cushion of runs behind him. It was a win-win situation as Rayudu (Ambati) also got more balls to settle down. It also disrupts the strategy of the opposition team. So everything fell into place," said Dhoni. The batsmen did their job but the bowlers were not far behind. Chasing 264 for a win, West Indies were cruising at 170 for two when Man of the Match Mohammad Shami, who registered his career-best figures of 4-36, got the dangerous Dwayne Smith (97) back in the pavilion. Soon leg-spinner Amit Mishra (2-40) and Ravindra Jadeja (3-44) also swung into action. Dhoni was all praise for the bowling effort.